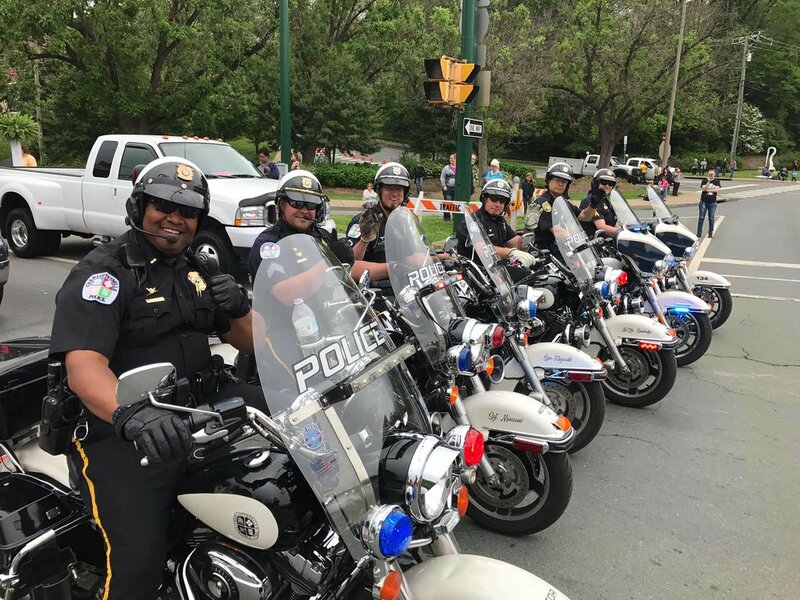 The 70th Annual Charlottesville Dogwood Parade will be held April 27, 2019, and begins at 10:55am. The festival theme this year is “Dogwood Decades”. Show us your favorite “Dogwood Decade” through your float decorations or costumes. We can’t wait to see what everyone comes up with this year. Awards will given out for Best Floats and Dogwood Spirit. Entries must have a level of entertainment appealing to parade watchers. Although not a requirement, we want to encourage the use of floats. Floats can either be amateur or professionally built. There are many float building guides available on-line. There is one example listed here. Marching Bands should park in the parking area located around the County Office Building at 401 McIntire Road. Bands should stage in the grassy area in front of the building. The first band in the line-up should be in the driveway that leads onto McIntire Road from the County Office Building "ready to march" 15 minutes before the parade begins. The next band should step into the driveway as soon as the band ahead of them steps off. Staff will be on hand to assist with this process and getting in the correct order. The parade line-up will be posted here by April 15. The parade line-up will begin at 8:00am on McIntire Rd. The parade will be divided into three sections for the purpose of lining up. The first section, positions 1-30 will line up from 8:00-8:30am, the second section, positions 31-60 will line up from 8:30-9:00am, and the third section 60-100 will line up from 9:00-9:30am. Please be on time!!! Please be on time according to your section number. Parade participants should look for their position number along the parade route. Numbers are located on wooden stacks along McIntire Rd. Please stage behind your wooden stake. The stake should be even with your front bumper. Make sure your vehicles and trailers are out completely out of the roadway. All drivers must stay with their vehicles. We often need to close the gaps between positions to allow additional room for staging. Please be aware of the positions who are in front of you and behind you. Walking units are usually staged in grassy areas off of the roadway. Marching bands and other special units will be inserted from the parking lots as the parade moves forward. Staff will be on hand to assist with staging and will give you a number to display on the windshield of the lead vehicle.